Sepsis is a major health complication causing patient mortality and increased healthcare costs. Cardiac dysfunction, an important consequence of sepsis, affects mortality. We previously reported that thymoquinone (TQ) protected against hyperlipidemia and doxorubicin-induced cardiac damage. This study investigated the possible protective effects of TQ against cardiac damage in septic BALB/c mice. Eight-week-old male BALB/c mice were divided into four groups: control, TQ, cecal ligation and puncture (CLP), and TQ + CLP. CLP was performed after 2-week TQ gavage. After 48 h, we measured the histopathological alterations of the cardiac tissue and the plasma levels of troponin-T (cTnT) and ATP. We evaluated autophagy (p62 and beclin 1), pyroptosis (NLRP3, caspase-1, interleukin [IL]-1β, and IL-18) at the gene and protein levels and IL-6 and tumor necrosis factor-α (TNF-α) at the gene level. Our results demonstrated that TQ administration significantly reduced intestinal histological alterations. 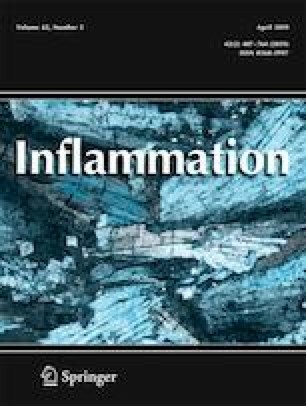 TQ inhibited plasma cTnT levels; improved ATP; significantly inhibited p62, NLRP3, caspase-1, IL-1β, IL-18, IL-6, TNF-α, and MCP-1expressions; and increased beclin 1 and IL-10 level. The phosphatidylinositide 3-kinase level was significantly decreased in the TQ + CLP group versus the CLP group. These results suggest that TQ effectively modulates autophagy, pyroptosis, and pro-inflammatory, making it important in the treatment of sepsis-induced cardiac damage. Hongyang Liu and Yan Sun contributed equally to this work. Zuowei Pei designed this study; Hongyang Liu, Guang Yang, and Yue Zhao helped in performing experiments; Zuowei Pei and Yan Sun analyzed data and interpreted the results of experiments; Lipeng Guo and Ying Zhang prepared figures; Hongyang Liu drafted the manuscript. All authors read and approved the final manuscript. This work was finally supported by the Posterdoctor Foundation of Liaoning Province, China (No. 194008).